35th Annual Fat Tire Tour of Milwaukee! 2019 Theme: The Wizard of Oz! 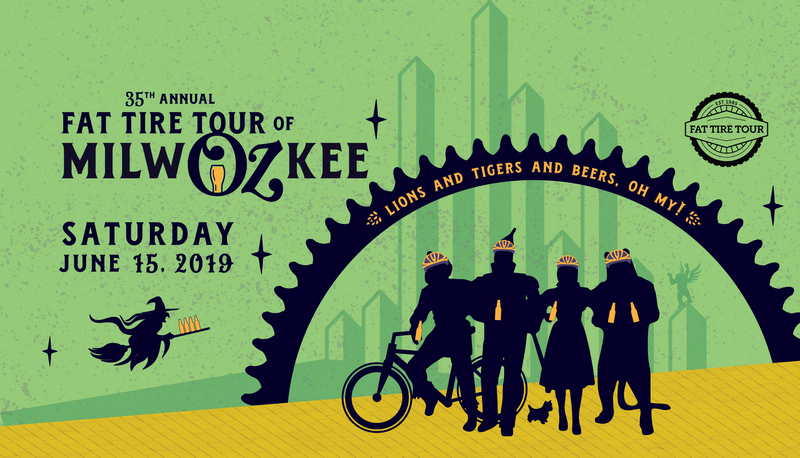 Click your helmets together and say it with us… “There’s no place like Milwaukee, There’s no place like Milwaukee, There’s no place like Milwaukee.” It’s time to ride the tornado of shenanigans all the way to the Emerald City of beer, bikes and most likely flying monkeys. Drawing nearly 500 attendees each year, the Fat Tire Tour of Milwaukee is the oldest and most historic group ride in the greater Milwaukee area. With over 30 years under its “tires,” this annual movie-themed group ride attracts and unites young bucks and old dogs alike over a common love of bikes and beer. The FTTM is a casual paced ride covering 15-25 miles over a 6-7 hour span. The route changes every year offering a unique Milwaukee experience over and over again. Not only does the route change, but it’s a surprise until the morning of. What is more exciting than that? A mystery ride with mystery stops! The only thing you know when you wake up that morning is you will have a blast touring Milwaukee with 500 of your closest friends. Participants have the opportunity to dress up, compete in wildly entertaining contests, and have a plain ol’ good time. Basically, more fun than the law allows for over three decades. More to come as the event gets closer! The route is an unmarked open course, but you’ll get a handy dandy map & schedule when you arrive to the start. As tradition stands, we won’t release the route details until the morning of the event. Why? Becuase that’s just the way it is, and surprises are way more fun than not surprises. This event uses a token system for drinks and food throughout the day. We arrange a limited selection for each stop with special discounted rates. The token system gets you a better deal, and it also speeds up the process for the bartenders/servers. You’ll be able to purchase tokens in the morning at registration and throughout the day. Do you HAVE to use tokens? Nope. If you want something that’s not on the event’s arranged selection you can just pay the bar rate. If you’re okay with the event selection, then we’d recommend purchasing tokens. We’ll provide a list of the drink selections in your “ride guide” that you’ll get at check-in. 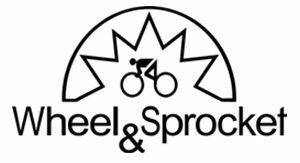 We’d like to thank the following sponsors for supporting our ride and the bike community in Milwaukee! We couldn’t pull off this much fun without you! First time rider? Want more information? Visit our FAQ page.